Oly Float is a proud participant in The Fibromyalgia Flotation Project, a new study that is underway to identify the benefits that floatation therapy can have on people with Fibromyalgia. 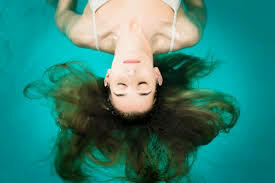 We have several floaters who are participants in this program, and find that floating is one of the few therapies to bring them any relief of their symptoms. Participants in the FFP, which is a structured medical study that includes the involvement of your personal physician, enables those with fibromyalgia to try out floatation therapy at a discounted rate. It is a 10-float program, with the first four floats provided by Oly Float for free; the remaining six floats in the program are discounted by 50%. If you or anyone you know may be interested in participating in the study, please go to floatresearch.com and click on the “I have fibromyalgia” button. You’ll be directed to register on the site, and will be given a participant code and paperwork to complete. Study participants will first have to get approval from their physician. Once the study paperwork has been signed off by a physician, bring it on in to Oly Float, and we’ll get you set up with your first float.